Is 'The Little Prince' an Oscar contender? Netflix is opening the animated foreign hit day and date on August 5 and plans a full campaign. Originally set for Paramount release March 18, Netflix will stream the animated movie August 5—and, Netflix tells Indiewire, they will open the movie day and date in theaters in advance of a full-scale Oscar campaign. Adapted by top American animator Mark Osborne (“Kung Fu Panda”) from the 1943 French children’s classic by Antoine de Saint-Exupéry (which has been translated into 260 languages and is still a staple on children’s bookshelves), “The Little Prince” premiered at Cannes 2015 to rave reviews. Since then Osborne has attended 12 international premieres and the $80-million movie has grossed more than $100 million around the world. Designed from the start as an English-language film that would be dubbed for foreign countries, “The Little Prince” succeeded overseas, doing best in China ($25 million), Italy ($10.5 million) and France ($12 million), where it won the Cesar for Best Animated Feature. Even so, just after the film opened in Canada on March 11, Paramount abruptly pulled it from theaters, six days before its slated March 18 stateside release. For one thing, Paramount had just struggled to reach $3.7 million domestic with Charlie Kaufman’s R-rated animated Oscar contender “Anomalisa” (which lost to “Inside Out”). While “The Little Prince” was clearly more mainstream family fare, Paramount was never invested in the movie. That’s because they did not make it. 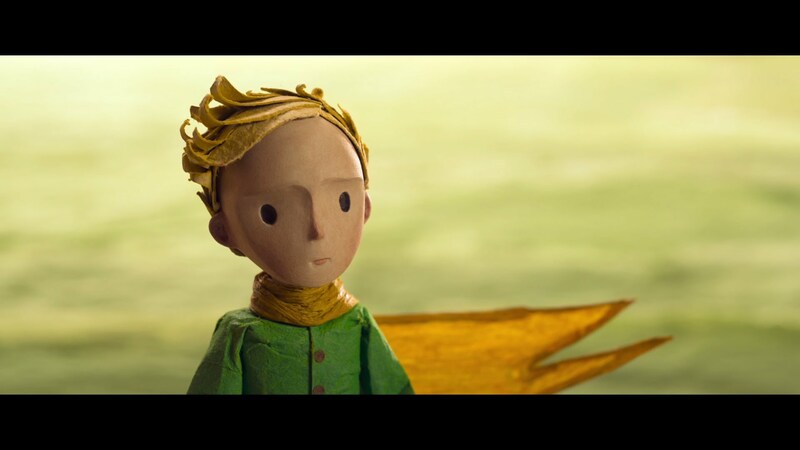 Produced independently in France, “The Little Prince” has yet to play any English-speaking countries outside Canada. To raise financing, the French backers needed a package with appeal to key global distributors. “The producers realized they didn’t want to make just a French movie, but one that would reach around the globe the way book had,” said Osborne in a telephone interview. So they raised $80 million (modest for animated features) mostly from minimum guarantees of box office in more than 50 foreign territories. Inspired by “Adaptation,” Charlie Kaufman’s unorthodox handling of Susan Orleans’ “The Orchid Thief,” Osborne and writers Irena Brignull and Bob Persichetti folded the classic story (to be filmed with old-fashioned stop-motion animation) inside a contemporary frame (animated via computer graphics). The result, they hoped, would convey the spiritual soul of the original within a family film accessible to all ages and cultures. The Hollywood studios have built complex, well-oiled machines for producing and marketing globally engaging animated features. Osborne knows how it’s done, having co-directed DreamWorks’ “Kung Fu Panda” ($632 million worldwide), which featured a Chinese martial arts master voiced by Dustin Hoffman and a multi-cultural cast. But it’s a tall order for an indie. Osborne cobbled together an international team of animators who designed a European-flavored universe. 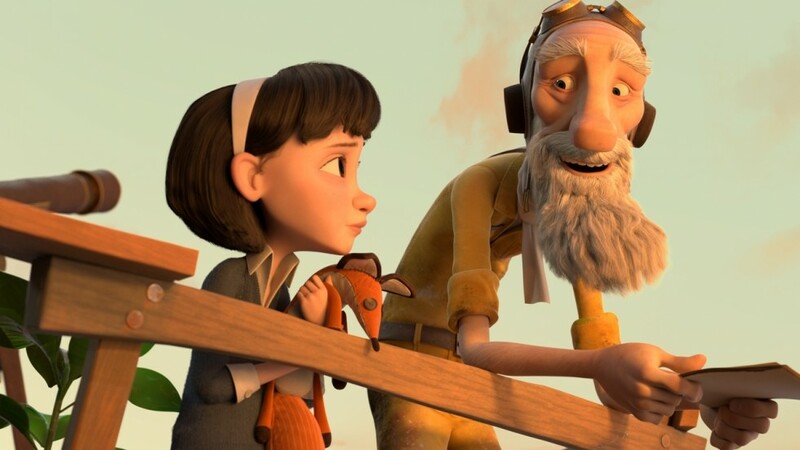 In order to boost the value of “The Little Prince” package with foreign financiers, Osborne cast Hollywood movie stars Jeff Bridges, Rachel McAdams, James Franco, and Paul Rudd as well as Oscar-winners Marion Cotillard (“La Vie en Rose”) and composer Hans Zimmer (“The Lion King”), who brought in French crooner Camille. In the framing story, workaholic single mom (McAdams) and her over-achieving daughter (Mackenzie Foy) live in a Jacques Tati-inspired modernist home next door to a white-bearded aviator (Bridges) who tinkers with an ancient single-prop plane in his back yard. Jeff “The Dude” Bridges fit the role of an amiable goofy guy with a spiritual side, “someone wise and playful and still young,” Osborne said. If “The Little Prince” had to be in English, it might have worked better with a British/European approach. (Osborne says the producers believed there wasn’t a big following for the book in the UK.) Until I knew better, I wanted to see the original French version with English subtitles! Paramount released the film in France, but opted not to do so stateside. The studio owned the movie rights to the “The Little Prince” because they produced live-action movie adaptations in the 70s. They waited for the financiers to raise enough money to buy the rights, but when they couldn’t, the conflict went to court. According to Paramount, the producers were required to put up some $20 million for prints and ads, but did not. So, the studio worked out a distribution deal with Netflix instead. So far Netflix has not achieved any Oscar traction outside the documentary realm, where theatrical success is not essential to achieving winning momentum. Animation will be new ground.